A 79-year-old woman who denies negotiating a roundabout in the wrong direction will stand trial on July 23. 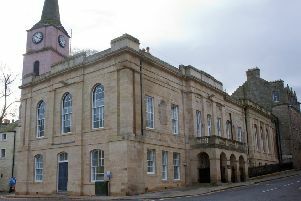 Patricia Braithwaite, of Clarilaw Farmhouse, Clarilaw, is alleged to have driven a car dangerously on the A7 at Kingsknowes roundabout, Galashiels, on February 4. She also denies failing to stop for police on the A7 between Galashiels and Selkirk.